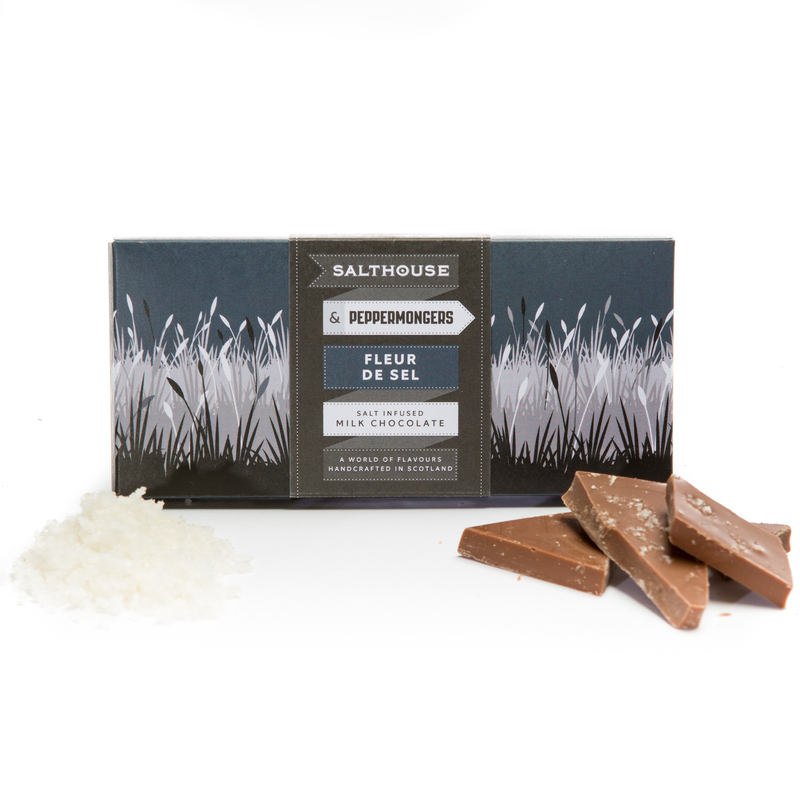 When added to our silky smooth milk chocolate, the fleur de sel serves to refract the range of flavours, adding emphasis to each one and providing a heavenly rich chocolatey experience. Fleur de Sel sits at the top of a French artisan salt harvest: it is the ‘gold’ of French salt. The uppermost surface is oh, so gently hand-scraped to collect the finest of crystals which have a particularly sought after glistening fresh taste.